Father's Day is just around the corner and I have yet to buy a gift for Sean! The older he gets though, the easier it has become to pick out something I know he'll like. 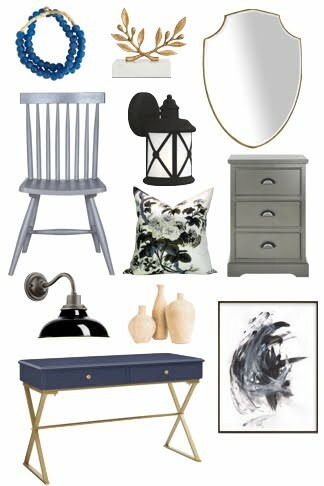 I guess it's on account of his reaching middle age... he has become more confident in his taste, his style, and it's clear by now what he likes and doesn't like (as we all do as we age). But there's a playfulness about him now too. He's willing to try different fashions, experimenting with his hairstyle, and wearing his Dad jeans in a slightly slimmer fit. 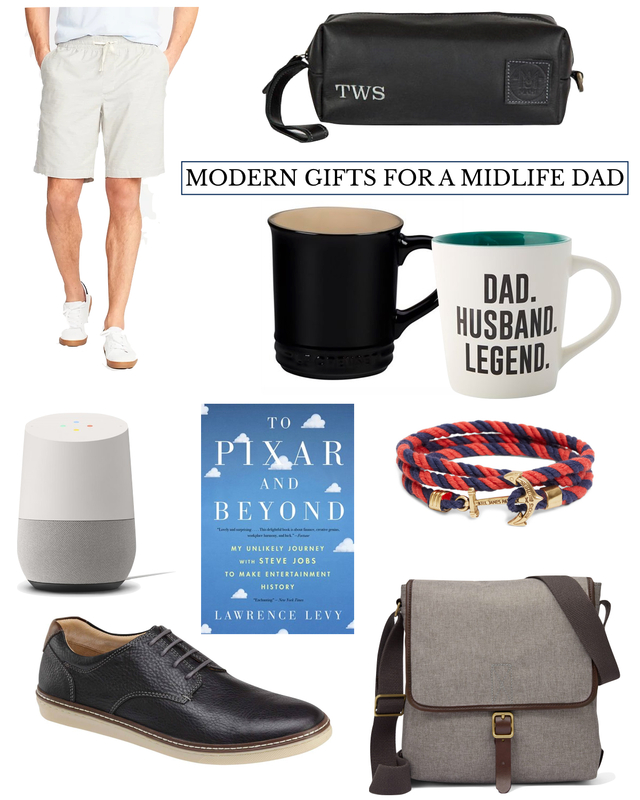 For a Dad in midlife, here's my list of Father's Day modern gifts to help him feel celebrated and remind him of the cool dude he still is. These men's jogger shorts are the perfect fit. Narrow on the leg but not tight, with slender side pockets, they're a comfortable everyday short that keep their shape. I've bought Sean the white stripe style and may have to go back for other others - they look so good! Sean travels a fair bit for work and a toiletry bag is a must. I like the size of this leather toiletry bag, that it has a handle and can be personalized. These Le Creuset mugs are the ultimate feel-good-in-your-hand, perfect size for a cup of coffee mug. I have one in yellow and it's always the one I reach for. But sometimes, you want to be a little cheeky. Dad appreciates that kind of humour so he'll love this Dad. Husband. Legend. mug. I can't tell you how much Sean loves our Google Home. From weather reports to recipes to the Greatest Showman soundtrack (we're addicted!) and white noise to help fall asleep, he uses it all the time. A good business book for the commute to work. To Pixar and Beyond seems to be an interesting read about an inspiring company. This classic cord bracelet is my go-to-gift for Sean. It adds colour to his summer outfits and makes him feel a little JFK at the Hamptons. What man wouldn't want to feel that way? Without a doubt, Johnston & Murphy is Sean's favourite shoe brand. Their shoes last for years and I love their styling. This McGuffey Lace-Up is the kind of shoe that will work with jeans and a blazer as well as with dressed-down chinos on Fridays. You can't go wrong with gifting a work bag. I love the men's bags from Fossil for their durability and style. This Buckner City Bag is a great size for a commuter and is large enough to fit a tablet.